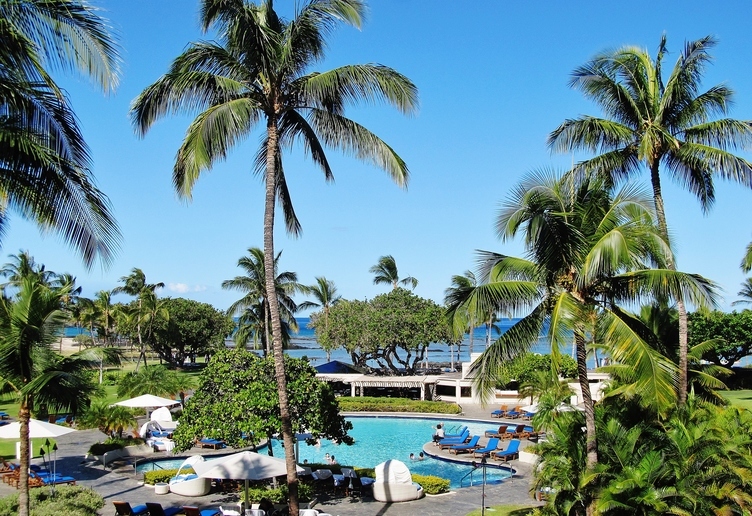 Big Island Hawaii hotels are as varied as the landscape. Finding the perfect place to relax at the end of a busy day of sightseeing can mean the difference between a good vacation and a great one. We'll help you find the perfect hotel at the best price. 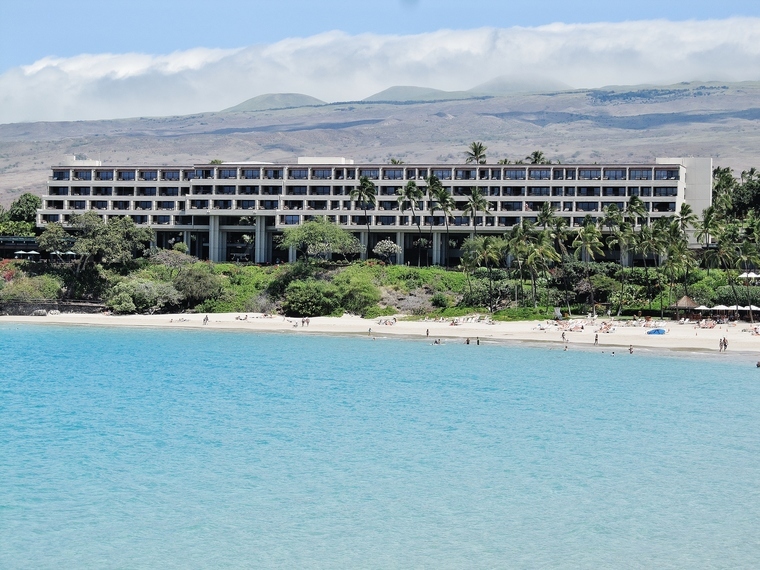 For starters, by far the nicest of the Big Island hotels are the resort hotels along the Kohala coast. 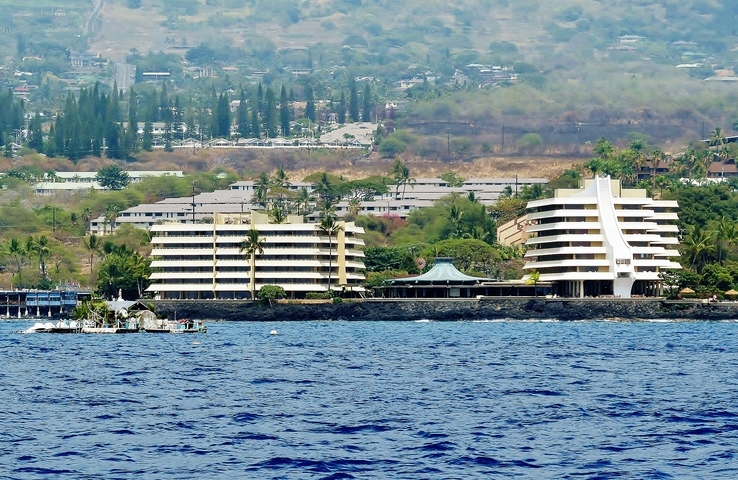 There are more hotels in Kona and the surrounding area than any other place on the island, with a small handful of hotels in Hilo. Whether you want to be close to all the action in Kona, or you're interested in a slightly more private sanctuary on a quiet beach, we'll try to help you find your perfect accommodation. Because the Big Island is, well, BIG, consider where you plan to do most of your exploring before you book a room. If you are primarily interested in snorkeling, diving or playing at the beach on the sunny side of the Big Island, the Kona hotels and Big Island resorts along the Kohala coast are going to be most convenient. If you will be spending most of your time at Hawaii Volcanoes National Park or spending the day exploring waterfalls and rainforest habitat along the east coast, look at hotels in Hilo or Volcano Village. To best maximize your exploring time and minimize driving, consider spending one or more nights on different parts of the island. Whatever your interests, there is a Big Island hotel to suit every taste and budget consideration. The Kohala coast (north of Kailua-Kona) consists primarily of luxury hotels and mega-resorts. This is the most expensive area on the island but also home to the nicest properties. While slightly removed from the larger commercial areas, there are plenty of nice shops and enough dining options to please just about any visitor's palate. In addition to being pampered, you are closer to the Mauna Kea volcano observatory, the best beaches and the spectacular north coast of the island. Should you decide to stay at one of the Kohala hotels or resorts, both the Waikoloa Beach Resort and Mauna Lani Resort areas have plenty of restaurants, grocery stores and high-end retail shops, just in case you get bored lounging on the beach! For easiest access to all the shops and restaurants of Kailua-Kona, the sights and activities along the west coast, and various ocean tours, check out the wide selection of hotels in Kona or Captain Cook. Perhaps not as glamorous as the Kohala coast resorts, but Kona Hotels are not as pricey either. For experiencing the tropical rainforest, waterfalls, the active Kilauea Volcano and Puna, consider spending at least one night in Hilo. Hilo hotels are definitely not of the same caliber as the Kohala resorts or even hotels in Kona, but they are a convenient way to end a long day of exploring the sights on that side of the island. To help other readers stay informed, we'll publish your report right here on our site. Do you have a favorite hotel on the Big Island? Did you find a particularly rewarding or memorable accommodation? Maybe a property that is a real "bang for the buck" or "diamond in the sand"? What makes your favorite spot so special?